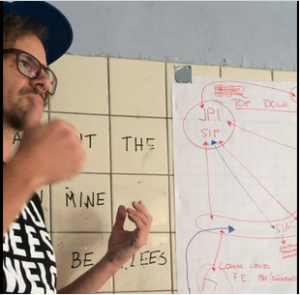 Connecting local ecosystems for social innovation: during the SIAC meeting in Innsbruck, Austria, Christoph Grud explains how we want to organize the connection between local level and European networks and programs. See the video! You have been an active member of the Austrian SEiSMiC network – what are the most important results? Looking at the Austrian community for example, we had a follow-up after the SEiSMiC closing event; we use the SIAC network we formed. We already started working together as a consequence of SEiSMiC and we really want to continue doing so, as in our last meeting figured out what SIAC’s role could be in the whole ecosystem. At the top there is JPI Urban Europe and as a top-down/bottom-up approach is involved, it should be possible to work out together what is needed for the future. However, I think it is too much of a logistical problem to reach the very bottom-up initiatives in local areas from the very top; therefore, the SIAC network could be an intermediate level, containing knowledge generated via research or local actions. I think this could be a very good working process, because otherwise it might get too complicated and not possible to work with logistically. Actually, the above was what we tried out during our latest meeting. People from Europe were in Innsbruck. I invited local stakeholders, some from an economic side, others from a governmental side or from regional development, to discuss the value of ecosystems. We raised the question ‘Is it worth it to give it a try and keep on working in this way?’ The people liked the idea, so we already started creating a local ecosystem with the regional development office, the university and all other stakeholders together. I believe this process could be an interesting good practice outcome that can be then researched and contained by an intermediate and then be passed on as a good practice to other regions. By extending the example to other regions, a national network can be created. But we should not forget that at the same time we also have to work from the other direction – working on all levels is the tricky thing.